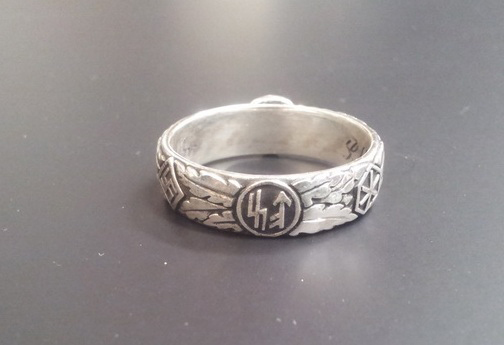 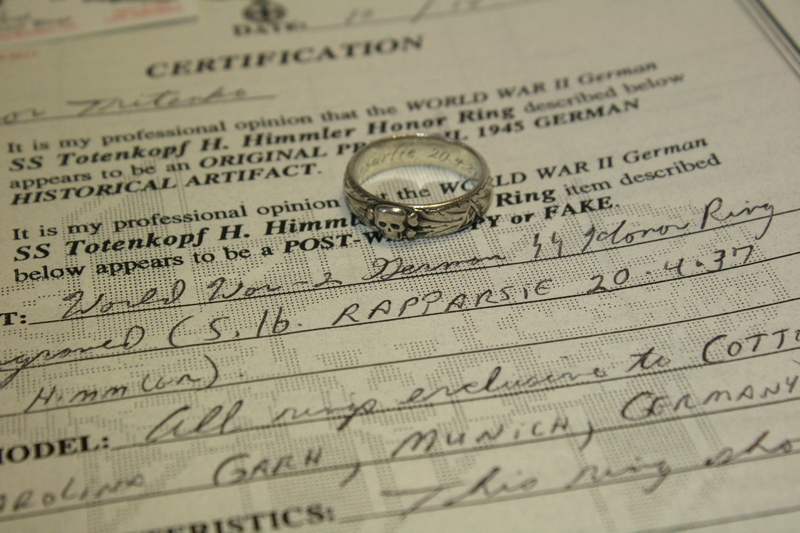 I present to you the exact and high-quality copy of the SS honor ring (SS-Ehrenring, totenkopfring), with the inscription inside the ring — S.lb Rapparlie 20.4.37 H.Himmler.The original ring was examined and certified by Don Boyle, an expert on the award rings of the SS. 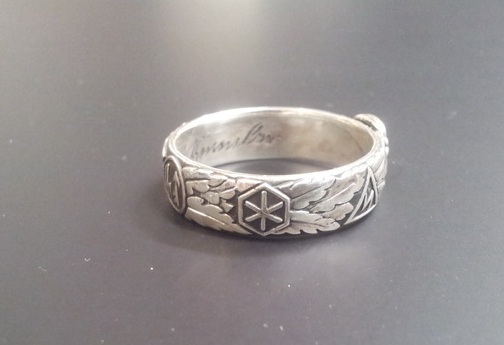 This original ring was carefully copied ..
Work was carried out to restore areas lost in the process of wearing the ring, they were restored with special care and accuracy. 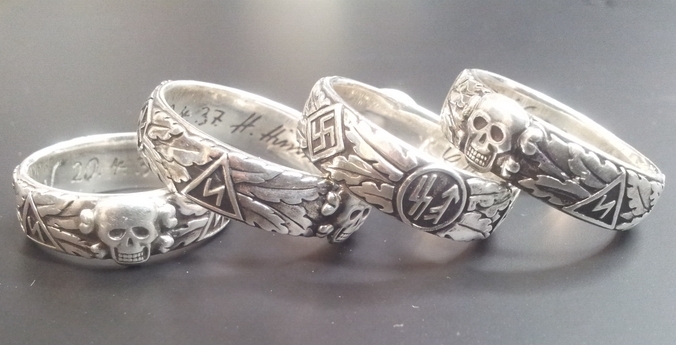 You can be sure of looking at the photo session comparing the original ring and my copy. 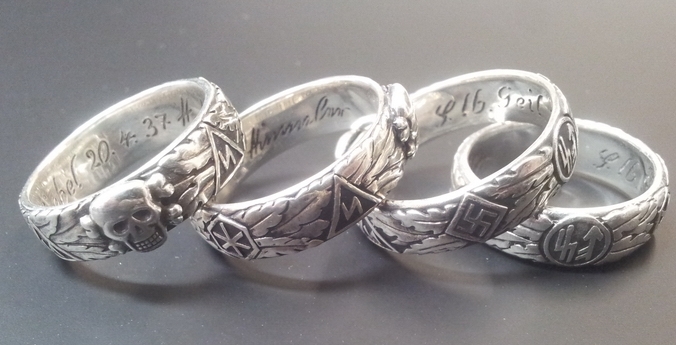 The surname is specially changed in the copy (S.lb Geil 20.4.37 H. Himmler). 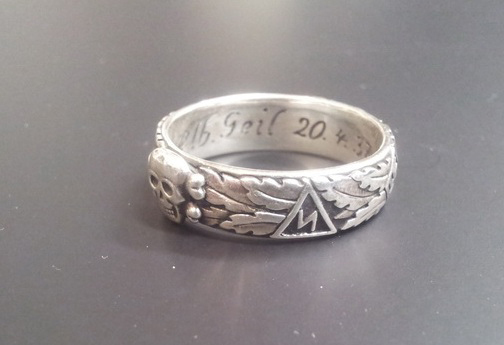 Otherwise, this copy is 100% authentic to the original ring. 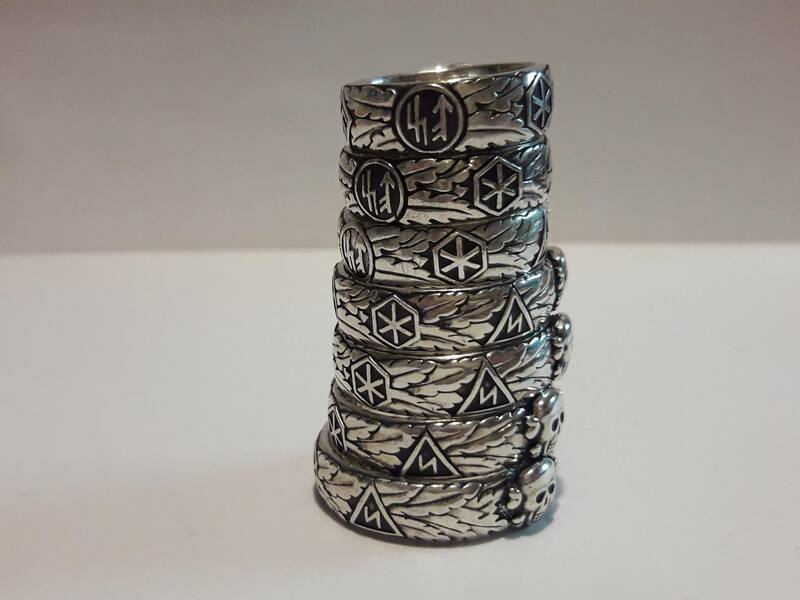 So what is this copy, better than the rest? 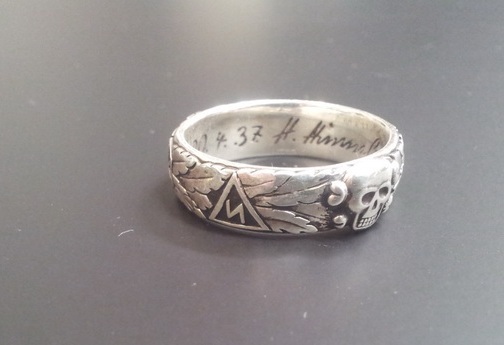 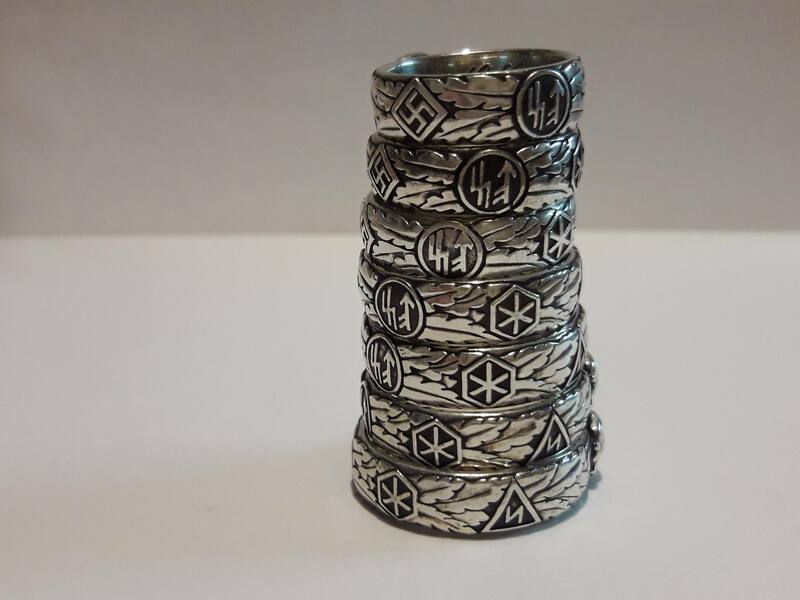 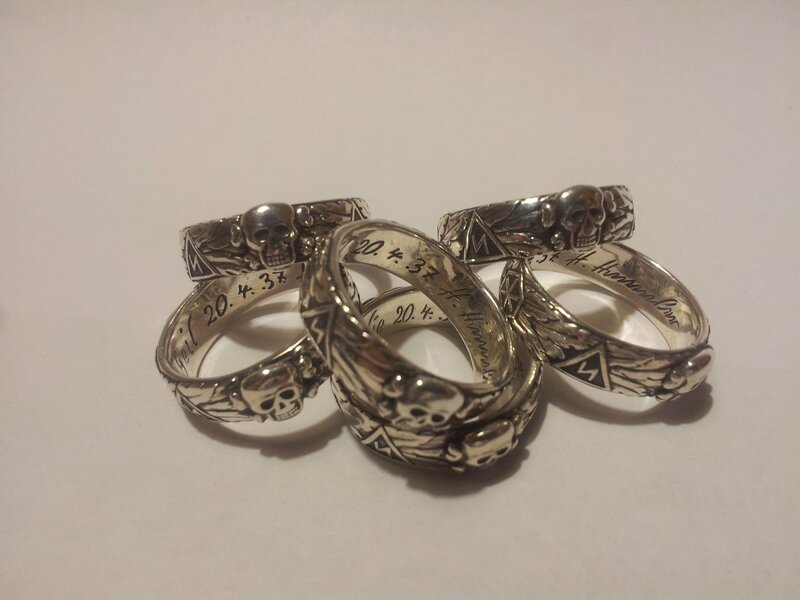 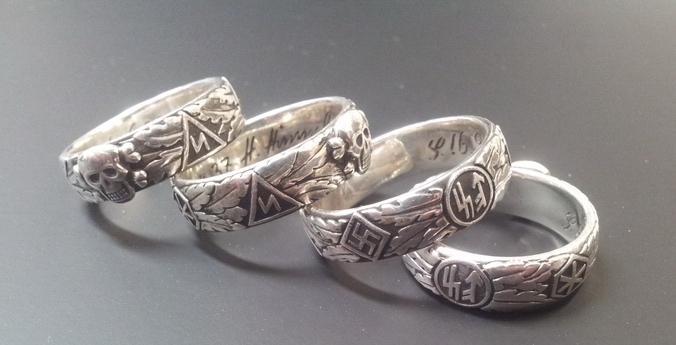 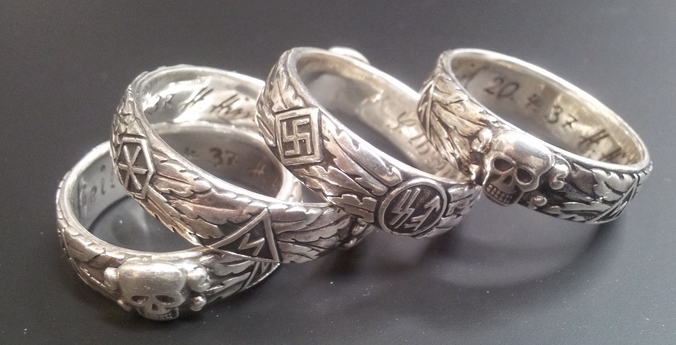 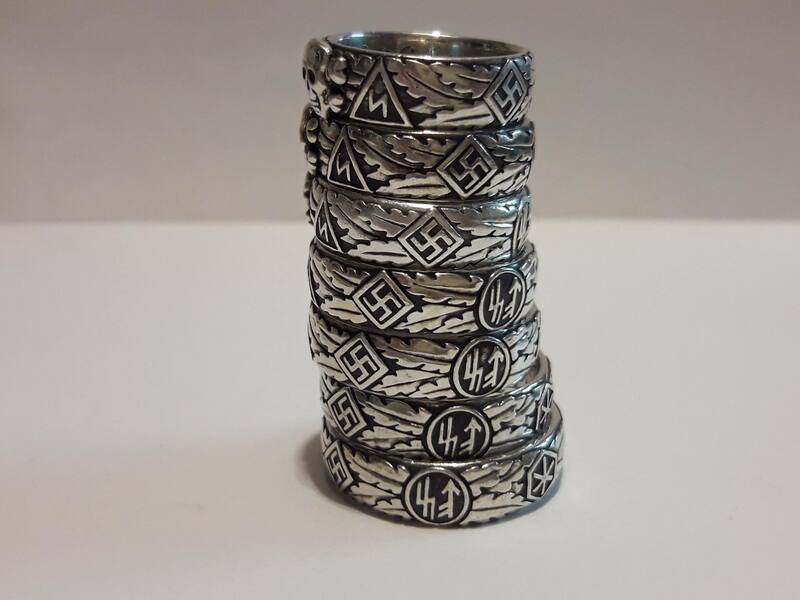 Themselves are frequent and the usual problems of copies of SS honor ring (SS-Ehrenring), this is not the correct skull, signs in which runes are placed, with distortions, the leaves are only approximately similar. 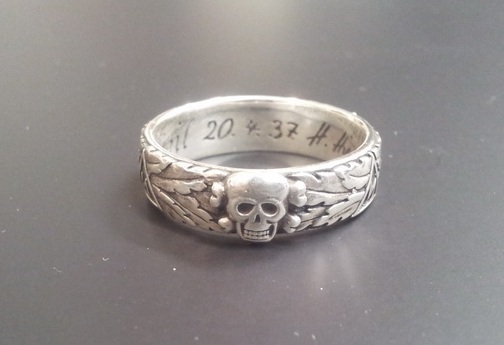 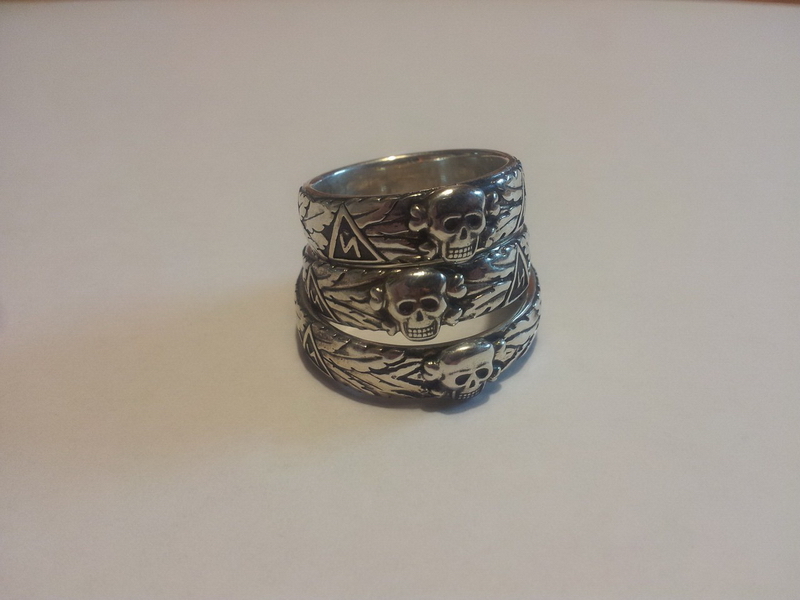 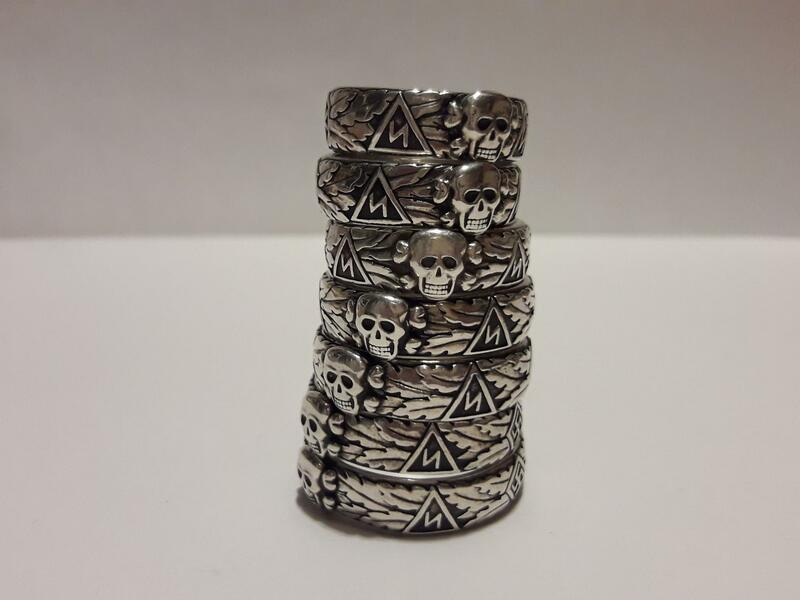 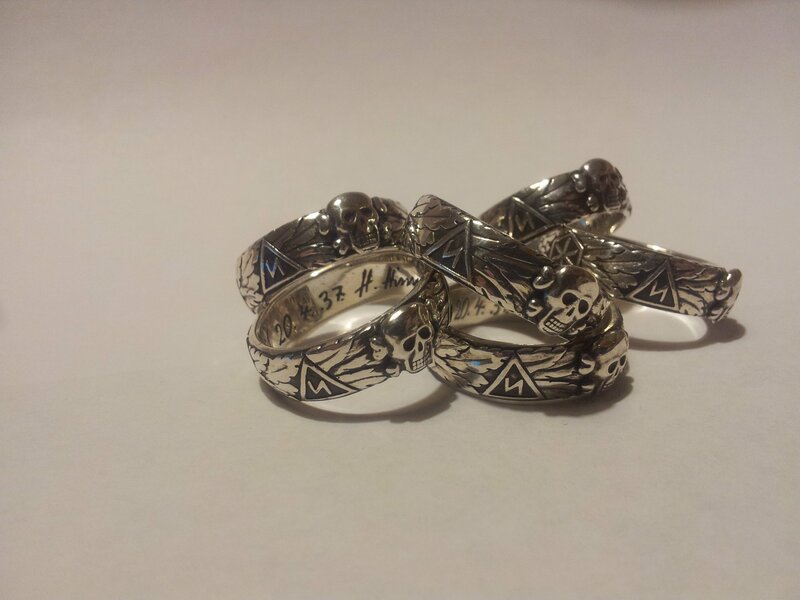 And also, in my opinion, the most basic problem of all copies is that they become smaller than the original ring in the manufacturing process: the size of the skull, the runes and the size of the ring itself decreases. 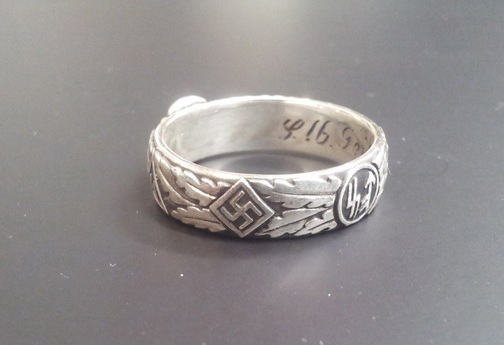 In this copy of the data there are no problems, the ring is completely identical in size to the original ring.